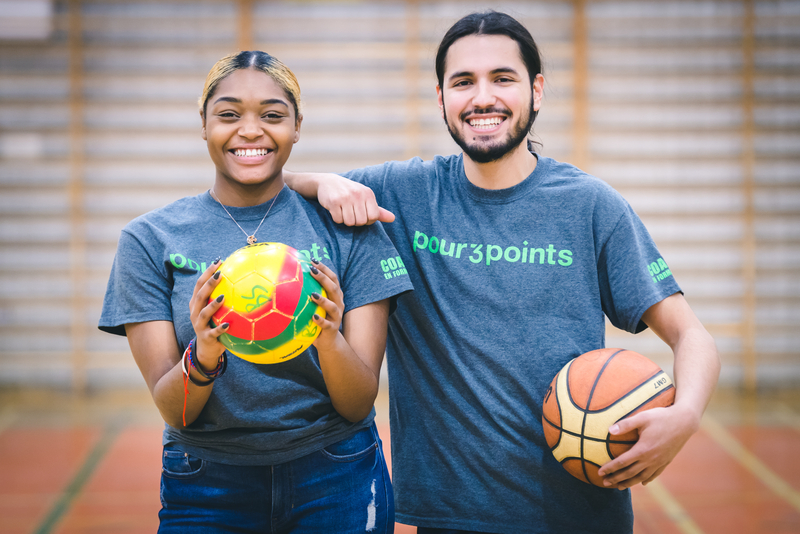 By providing support to youth, P3P coaches help them gain the skills needed to succeed in school and in life. Youths from underprivileged families or environments are also less likely to graduate from high school. Moreover, the dropout rate is more than 50% in some Quebec high schools. Aside from their parents, coaches are the most influential adults in the life of young athletes. stimulated and channelled, this motivation can be transferred to other things and have a positive impact in school, on the kids’ personal lives and in their community. However, the impact of sports beyond the court or field highly depends on the quality of the coaching. Coaches have a significant impact on young athletes, since they are the most important adult in their life after their parents. This influence is not only relevant in teaching a sport, but also in life education. Only 5% to 10% of coaches received training to fulfill their role properly. A coach is someone who shows you how to live by showing you how to play. Good sports coaches - at all levels - are actually life coaches. This is a huge cliché, but sport is always a metaphor for life. We believe in social equality for youth from underprivileged neighbourhood. We are convinced that, someday, all of them will have the opportunity to develop their potential to become happy, resilient and healthy adults involved in their community. We invest all our efforts in realizing this vision, and that is why we help sports coaches become life coaches. By assisting underprivileged youth, they help them gain the skills needed to succeed in life and in school.